In order to receive information from companies interested in the ATI services, we request that interested parties complete forms that are available online. This information, once submitted and processed is shredded using secure measures. 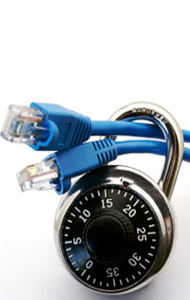 ATI is fully committed to data security. To prevent unauthorized access, maintain data accuracy and ensure the appropriate usage of the information by authorized users, we have put in place physical, electronic and organizational procedures to safeguard and secure the information you provided to us online. However, while we strive to protect your personal information, we cannot ensure the security of the information during transmission through the Internet. In this regard, we advise you to take every precaution to protect your personal data while you are using the Internet. Information we collect may include personal data related to individuals such as name, address and e-mail address. We treat all this information as confidential. We do not give it or sell it to any third party, except as required by law or as necessary for us to provide you with the required services. We reserve the right, at our discretion, to add, modify, or remove portions of this policy at any time. Please check it periodically for changes. When you voluntarily supply us with your personal information such as your name, home or business address and e-mail address or other contact information, we will currently use it to correspond with you. In the future, we may also use it to start a subscription upon your request, to register you for a particular service or event. Our website also provides a capability for potential candidates to submit their CVs via e-mail. Any CV received by us will be held confidential and used only for the purpose of considering employment or internship as requested. With the exception of recruitment counsels, such information is not shared with third parties unless specifically requested or authorized by the submitting party. If you browse the ATI website, you do so anonymously. We may use your IP address (the Internet address of your computer) to administer our website and to collect and distribute aggregate statistics about our visitors such as traffic patterns and related site information, time spent on a page for internal use only.